Note: if you are running an older version of Discourse (pre-2.0.0.beta5), expand the following, otherwise, continue on. Go into in your admin panel and select Groups --> Custom --> + New. NOTE: If you are a part of two groups that have this setting, the group flair you see will be for the most recent group that was joined. This can be manually overridden by an admin on a user’s admin page. I’m trying to set the image with the URL of a .png file that I searched for on Google but it isn’t working. 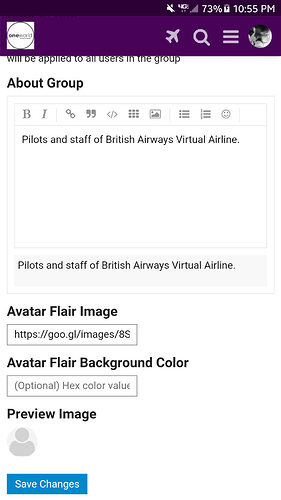 It’s the British Airways speedmarque that I want to use for the group flair. Any help in getting this working is appreciated. Thanks for the help. 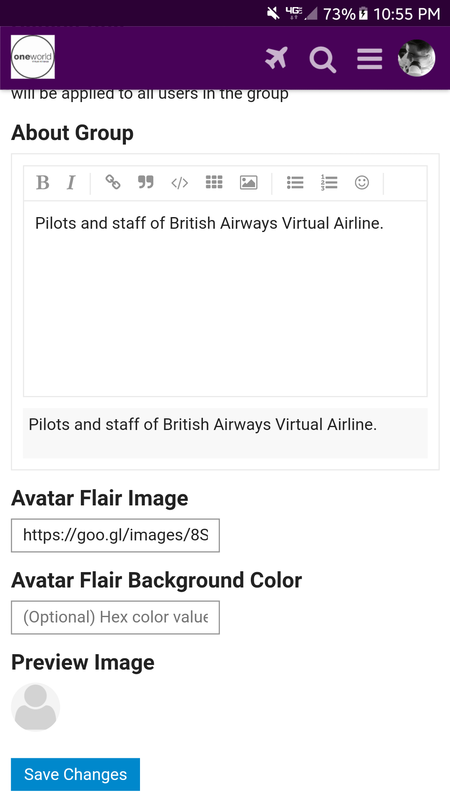 I’ll keep that in mind for when I add American airlines logo and Qantas logo for avatars flairs. How to use banner topic feature for specific group? 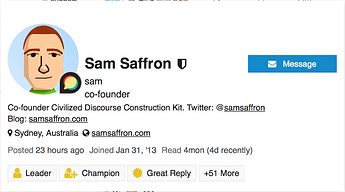 If you go to a user’s public profile as an administrator, you should see the button near the top right. Scroll down a bit after you have selected that button. You should see the “ Groups ” section and the options in that screenshot. You can also set up a group so that it will automatically be set as the primary group of all its members. If you go this route, just be aware this automatic feature might change any existing primary group settings of its members. would like to check if flairs works in which area of Discourse should i check?